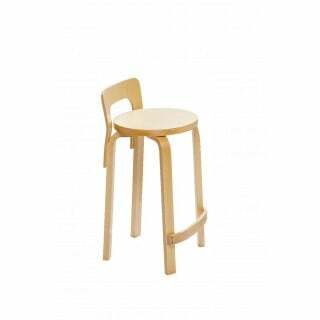 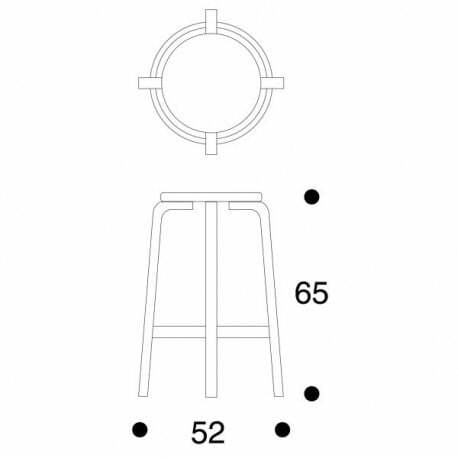 The Aalto Model 64 bar stool was designed by Alvar Aalto in 1933. 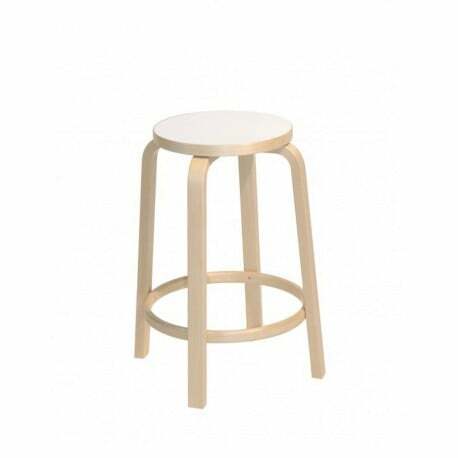 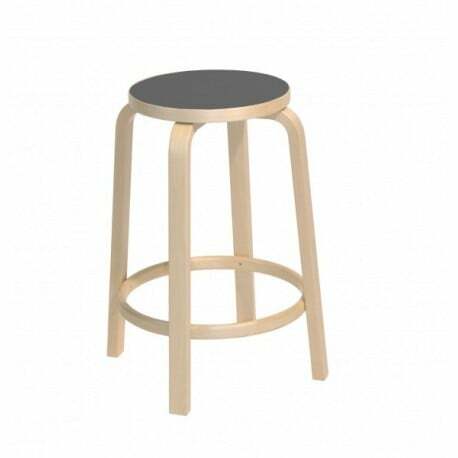 Taller in stature, this stool features a natural lacquered birch frame with different seat options: birch veneer, linoleum or laminate. 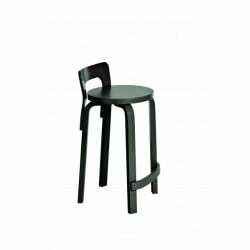 Ideal for bars or high tables. 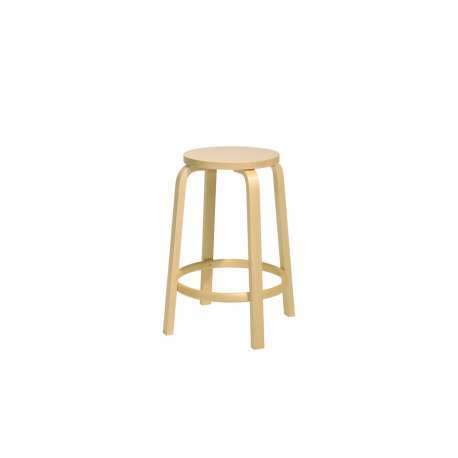 The barstool also has a rail footrest. 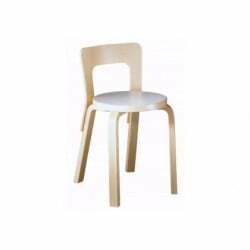 Also exists with a small backrest (K65).